A California gymnast has become a social media star after scoring a perfect 10 at a weekend competition. 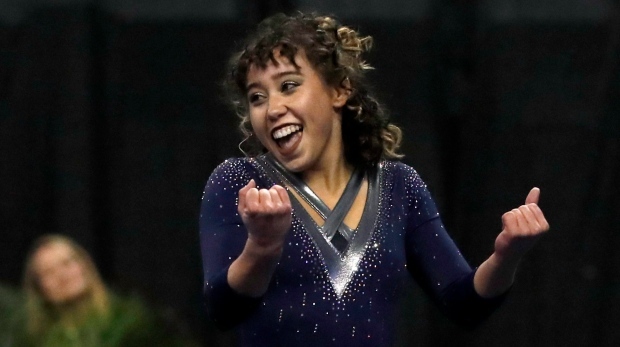 With a soundtrack that ranged from Tina Turner to Michael Jackson, the floor routine saw 21-year-old UCLA student and athlete Katelyn Ohashi perform gravity-defying twists, leaps and turns, all while wearing a beaming smile at the Jan. 12 Collegiate Challenge in Anaheim, Calif. So far, a video of the routine posted by UCLA on Twitter has garnered a staggering 20.5 million views.